The Shinta Mani Shack is a newly renovated Bensley-designed boutique property and enjoys a tranquil and leafy setting just a 15 minute tuktuk ride from the magnificent temples of Angkor Wat. 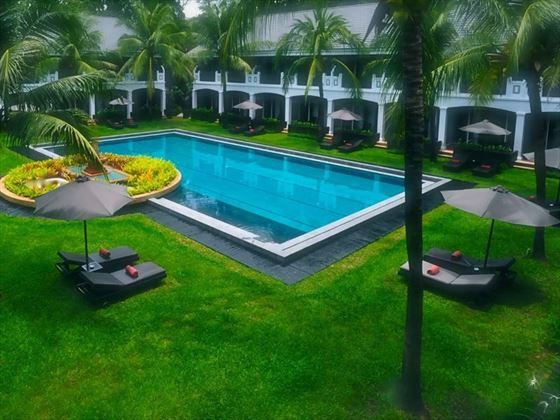 Each of the courtyard-style resort's 62 rooms & 2 Junior Suite enjoy first floor balcony views or direct access to the stunning swimming pool and flourishing tropical gardens. Public spaces include an all-day dining cafe/restaurant as well as complimentary wifi throughout. The Spa, Bensley's Bar and Kroya Restaurant which are located directly opposite at the Shinta Mani Shack are open to guests for their enjoyment. 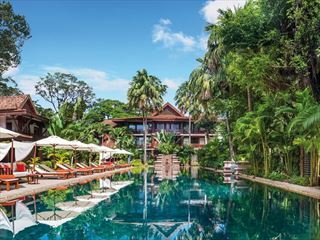 There is a sister property over the road, Shinta Mani Angkor, with 39 rooms a swimming pool and flourishing tropical gardens. Guests at Shanti Mani Resort are welcome to use the bar, restaurant and spa over the road at the Shinta Mani Angkor or make the most of all day dining at the Resort. 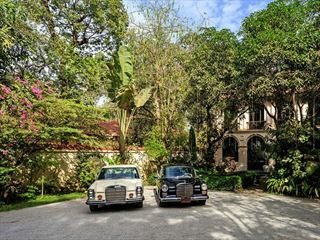 This is a fabulous location for when you feel like exploring the city, with easy walking distance to the old market and the many boutiques, coffee shops and tempting restaurants. Shinta Mani Foundation is an important charitable centre in the area and a portion of guest income helps the work of the foundation which includes a centre for hospitality training (you can visit the centre as it is based at the hotel). Guests may also arrange to visit some of the rural villages benefiting from the foundation’s work on an insightful complimentary tour. 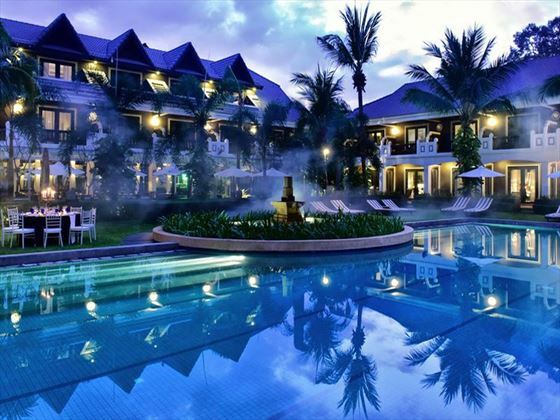 The hotel is centrally located in Siem Reap in the French Quarter; nightlife and markets are just a short walk away. It’s a 20-minute drive from Siem Reap airport and the Angkor Wat complex can be reached in 15 minutes by tuk-tuk or taxi. Located on the first floor, these beautifully-appointed 40sqm rooms boast fantastic views over the swimming pool and tropical gardens from a private furnished balcony. Accommodates up to two guests. Located within footsteps of the swimming pool and tropical surrounds, these stylish and plush 44sqm rooms accommodate up to two guests. 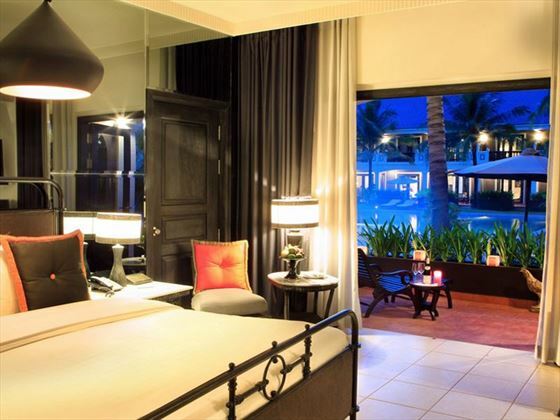 Located on the second floor of the resort with breath-taking views of the swimming pool and tropical gardens, these magnificent 78sqm suites are separated over a gorgeous living room with a retro feel, and a spacious bedroom with hand-crafted furnishings and plush décor. 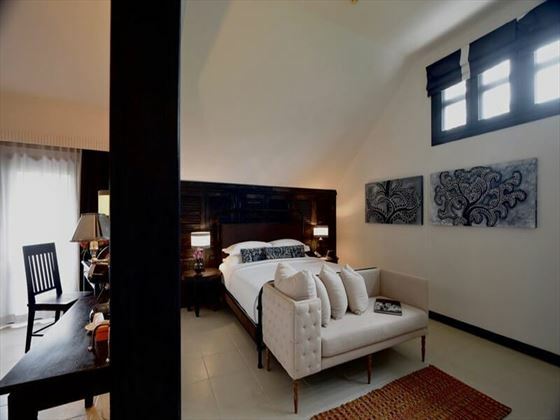 Located on the second floor of Shinta Mani Shack with incredible views of the urban streetscape from a large private balcony, these spectacular 94sqm suites are separated over sumptuous living and bedroom areas with oversized, luxurious bathrooms and custom-designed furnishings. 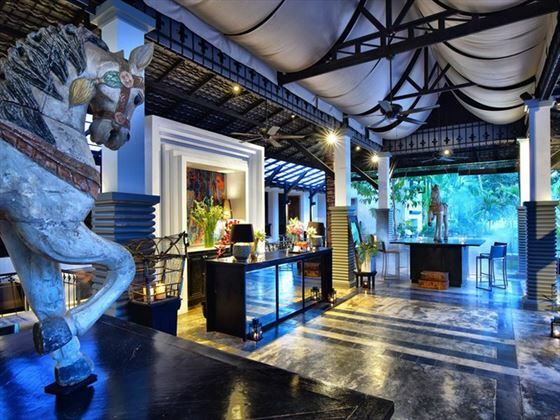 The resort’s signature restaurant, serving a sumptuous selection of flavourful Khmer street food and delicious international cuisine all throughout the day. In the morning, enjoy a full breakfast buffet with a tempting selection of hot and cold options, or for dinner and lunch, delight in a fabulous variety of a la carte specialities. Afternoon tea is also served here daily, set beside the serene and beautiful gardens. 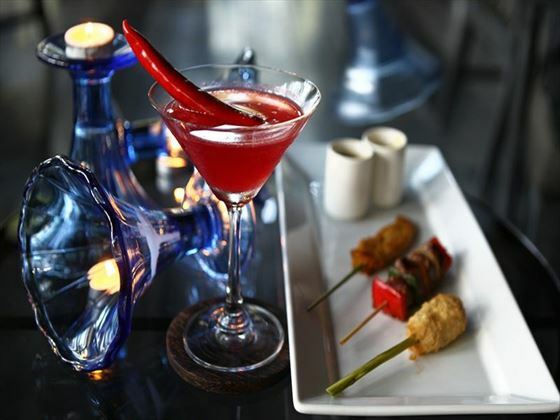 Serving prime cuts of beef grilled to perfection, paired with abundant side dishes and extravagant desserts, this popular American steakhouse offers a delicious alternative to Asian cuisine. for drinks and light snacks to keep you refreshed throughout the day. An unforgettable Khmer dining experience, Kroya blends international cuisine with delicious local fare, combining fresh ingredients with native herbs and spices to create innovative, palate pleasing flavours. 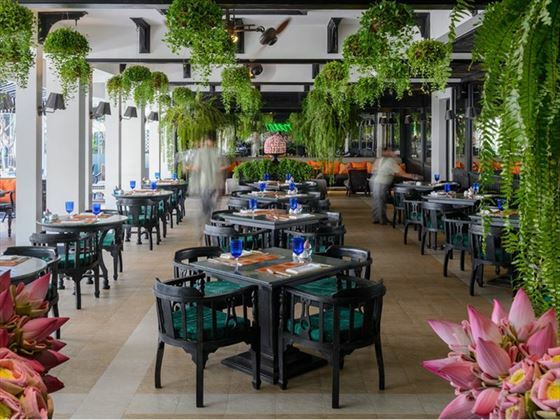 Enjoy the ambient indoor air-conditioned comfort, or a fun Khmer swing on the picturesque outdoor terrace. A lovely, ambient spot to enjoy a pre or post-dinner cocktail and a great selection of tapas, this open-air venue is located on the Club’s second floor, set overlooking the picturesque inner courtyard.